Apple TV has been one of the least talked and targeted product from Apple, but now there is something new that has been released in the Apple TV range, apart from the iOS 4.1 and the new iPod devices in today’s Apple media event. People always demand for hollywood movies and TV shows, and everything is needed in HD. And people would always need lower prices for the content, but not all that in a computer, and they don’t want to manage a storage system for all this entertainment. People don’t want to sync all this content with their computers, and it should be smaller, silent and cool. 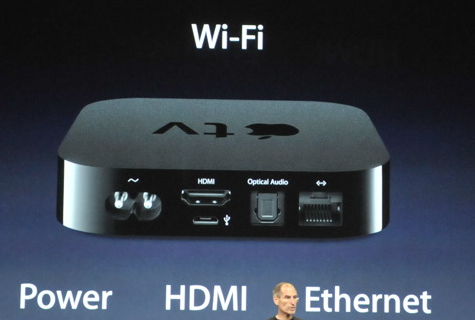 Apple now introduced the new Apple TV! Totally smaller, 1/4th size of the original and it has got everything that the user earlier wanted and didn’t get in the previous Apple TV version. It has got a Power, HDMI and Ethernet port, and Wi-Fi connectivity. It comes with a remote control, and there is no storage, no syncing as everything is streamed online. The movies can be rented and there is no need for you to buy the shows and movies. The movies can be rented for $4.99 and the TV shows can be rented at 99 cents. These all movies and TV shows would be without any commercials, so the hassle-free viewing is now possible. Streaming the content from NetFlix is also possible. If there is HD content on Youtube, that can be streamed too. Music, photos and videos from your Mac can be streamed through the Apple TV. Everything about the TV show, movie is displayed, the information and the reviews from users can be viewed before you decide to rent them. 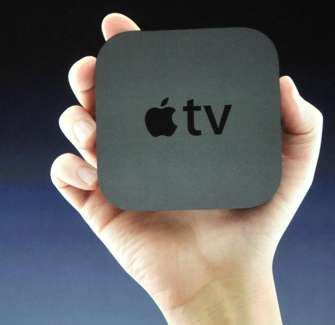 The Youtube videos, Podcasts, Radio, MobileMe content can all be viewed through the Apple TV. The content from the iPad can be streamed into the Apple TV directly by selecting the source and destination, but that might be from the Apple iOS 4.2 which is going to be released in November. The content from 6 countries would be available for now, and the Apple TV would be available for $99 which would be launched in 4 weeks, and you can pre-order one today.